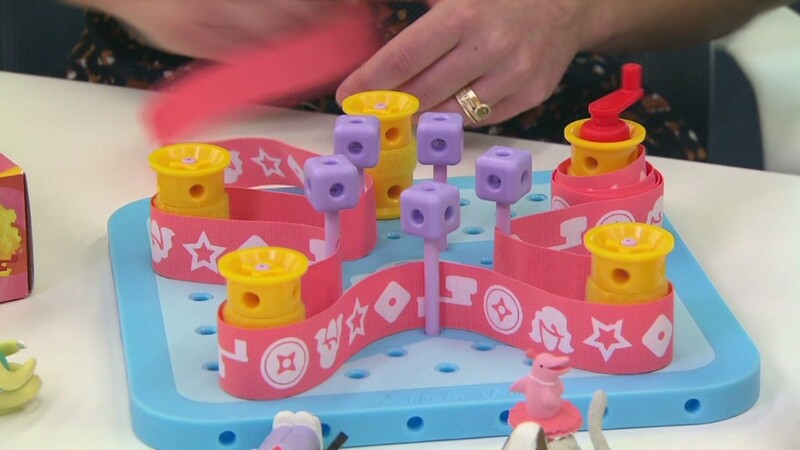 Debbie Sterling's toy startup GoldieBlox becomes the first small business ever to air an ad during the Super Bowl. As far as GoldieBlox is concerned, the innovative toy company has already scored the first touchdown of Super Bowl XLVIII. The startup will make Super Bowl history this Sunday by becoming the first small business to have a commercial air on TV during the most-watched event of the year. GoldieBlox won a contest run by Intuit (INTU), where the grand prize was the 30-second ad that will debut during the third quarter of the game. Intuit will pick up the $4 million cost. "We still can't believe that we won. We were all crying when we found out," said Debbie Sterling, founder of GoldieBlox, a line of storybooks and toys aimed at getting young girls excited about science and engineering. GoldieBlox's ad will appear alongside some of the biggest brands in the world such as Budweiser, Cheerios, and Coca-Cola (KO). Super Bowl commercials typically are dominated by big brands that can afford the hefty price tag. 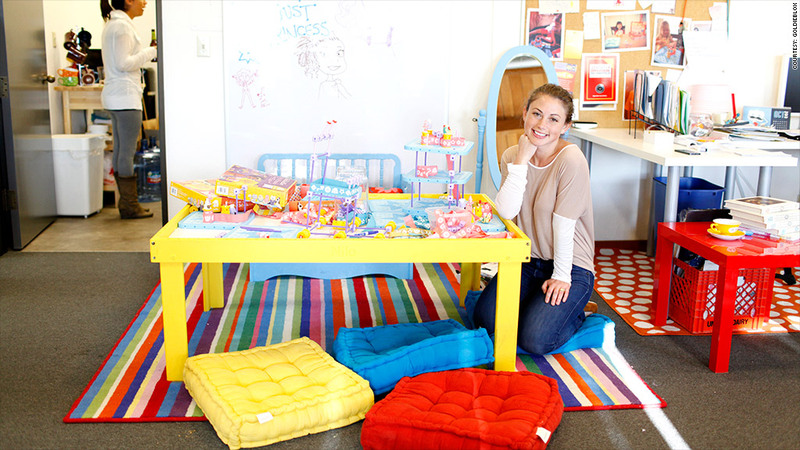 But GoldieBlox got its start just 18 months ago and has barely 15 employees. Its toys sell in Toys R Us and Target (TGT). The ad, which was produced by a top ad agency RPA, puts GoldieBlox shoulder to shoulder with the big leagues, and Sterling hopes the exposure to over 100 million viewers will enable the brand to take a "giant leap forward for our mission." A Stanford University engineering graduate, Sterling launched GoldieBlox in 2012 after she became obsessed with the idea of "disrupting the pink aisle" with a toy that could potentially inspire the next generation of female engineers. She turned to crowdfunding site Kickstarter with the goal of raising $150,000 to fire up her idea. "We did that in just 4 days," said Sterling. In total, her Kickstarter campaign raised over $285,000. "So yes, we knew we were on to something," she said. Intuit's contest kicked off last July and asked U.S.-based business with 50 or fewer employees to submit a compelling story about their company. An online vote determined the top 20 submissions, and then Intuit's 8,000 employees voted to pick four finalists -- GoldieBlox, dog treats maker Barley Labs, organic egg farm Locally Laid Egg Company and natural compost producer POOP. A separate online vote in December determined the grand-prize winner. Intuit said millions of votes were cast for the entries but declined to say how many went to GoldieBlox. "GoldieBlox is an outstanding example of the 29 million small businesses across the United States," said Intuit's CEO Brad Smith. "It's clear voters around the world felt the same way." GoldieBlox's Intuit win, however, isn't its first brush with fame. Last year, the company created a parody video that featured the Beastie Boys song "Girls." The video, which featured young girls rejecting the "princess" stereotype as they built a complex maze, became a viral hit. But it also brought on a copyright infringement lawsuit by the Beastie Boys for using their song. GoldieBlox initially countered with its own lawsuit but ultimately removed the song from the video. Intuit also confirmed that it will hold a similar contest again next year.